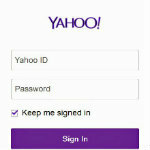 Yahoo suffers hacking attack, resets user passwords. Facebook to unveil Paper app on Feb. 3. These stories, and more, in today's Morning Social Media Newsfeed. If you’re a Yahoo Mail user, you might want to be on the lookout for a password reset notification. Yahoo has announced that it detected a “coordinated effort” to access some email accounts. The New York Times/Bits Blog “Recently, we identified a coordinated effort to gain unauthorized access to Yahoo Mail accounts,” Jay Rossiter, Yahoo’s senior vice president for platforms and personalization products, wrote in a blog post Thursday. “Based on our current findings, the list of usernames and passwords that were used to execute the attack was likely collected from a third-party database compromise.” ZDNet Yahoo has not stated how many accounts were affected. It is a common technique for criminals to test the usernames and passwords gained from one breach against another website or service. ars technica World of Warcraft, vBulletin, MacRumors and Adobe are only a tiny sampling of the sites recently hit by attacks that exposed password data. There are many more attacks that go unreported or that can’t be linked to a particular site or service. USA Today Yahoo has security teams focused on hacking attempts as the tech giant was breached multiple times in 2013. The most visible: a website hack in which 400 million Yahoo users account were accessed. The proof is in the Paper: Merely hours after Facebook co-founder and CEO Mark Zuckerberg discussed the social network’s focus on building separate mobile applications beyond its flagship apps during the company’s fourth-quarter earnings call Wednesday, Facebook officially announced the rollout of Paper, which has been rumored since earlier this month. Paper will initially be released for the iPhone on Feb. 3, and Facebook did not specify if or when the app will be released for other devices or platforms. Brands will have the advantage over teams when it comes to Super Bowl social media chatter, according to a survey from the social influence platform Crowdtap. Seventy-three percent of respondents said they were more likely to follow or “like” a brand after the game, while only 27 percent said they would do the same for the teams. Foursquare Thursday announced it has partnered with GrubHub Seamless to offer its mobile users access to more than 20,000 restaurants in hundreds of cities across the U.S. In the Foursquare app for Android or iOS, all you have to do is tap the GrubHub or Seamless icon and place your order (search for “delivery” to get a list of restaurants that will come to you). Police in Rome have had a tough time combatting the “creative” solutions its citizens have typically used to squeeze their cars and other vehicles into the narrow city streets. But now they’ve got a special new parking unit … Twitter. Zynga plans to lay off 15 percent of its workforce, the company announced on Thursday, a reduction of about 314 employees. This comes less than a year after Zynga’s last large round of staff cuts, in which the company laid off more than 500 employees last summer. Living in a major tourist city like San Francisco means I’m constantly being asked to take photos for strangers – I don’t mind at all, but I know they’re almost always hesitant to ask. It doesn’t have to be that way if they have a smartphone and this app, Groopic.